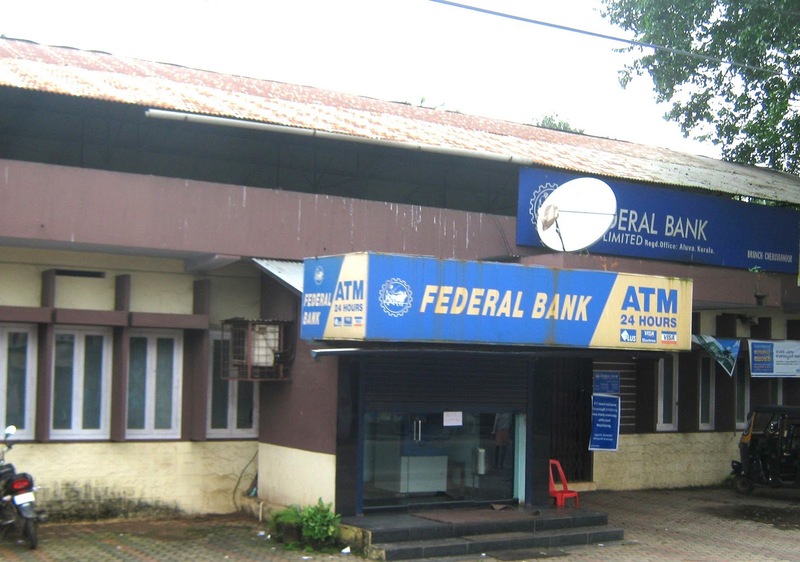 Federal Bank, a leading Private Sector Bank having pan India presence with over 1100 branches, invites applications for the following positions from aspiring, young, talented and dynamic personnel who are looking for a challenging career. Eligible candidates are advised to apply online between 12.09.2013 and 26.09.2013 through the Bank‟s website http://www.federalbank.co.in after carefully going through the instructions contained in this notification. No other means / mode of application will be accepted. Candidates selected will be offered the following pay scale. Basic Pay of those candidates selected as Assistant Manager in Scale I and Law Officer in Scale I/ II will be fixed in the appropriate stage in the selected scale as above depending on qualification, exposure and experience the candidate possess, at the sole discretion of the Bank. DA, HRA, CCA will be paid as per rules of the Bank in force from time to time depending upon the place of posting. Medical Aid, Hospitalization Scheme, Leave Fare Concession, retirement benefits and other perquisites will be admissible as per Bank‟s rules. Selected candidates will be on probation for a minimum continuous period as mentioned below. Graduation / Post Graduation in Law with minimum 50% marks. Candidates should be enrolled as an Advocate with the Bar Council and should have minimum 4 years experience as Advocate in civil/ criminal court AND/ OR as law officer in any Scheduled Commercial Bank. court AND/ OR as law officer in any Scheduled Commercial Bank. Experience gained during the training period before enrolment as an advocate will not be counted for eligibility. Exposure with special reference to Banking would be an added advantage. Experience as Advocate and as law officer can be clubbed for arriving at the minimum period of experience. Graduation in any discipline with minimum 60% marks. equivalence certified by the University / Institution from where they have obtained the degree. In case the University / Institution does not have any scheme for converting CGPA into equivalent marks, the equivalence would be established by the Bank by dividing obtained CGPA with the maximum possible CGPA and multiplying the resultant with 100. Year wise / semester wise mark sheet for each year / semester in respect of the qualifying examination from the concerned University should be available. Working knowledge of computers is essential. (i) An e-mail id which shall be valid for the duration of the recruitment process. In case the candidate does not have a valid e-mail id, he/she has to create a new email id before applying online. (ii) If a candidate is eligible and desires to apply for more than one post, he/she should apply separately for each post. (iii) To submit applications online, log on to our Bank‟s website http://www.federalbank.co.in, follow the link „Careers‟ and click “Recruitment of Clerks & Officers” provided in the „Careers‟ page. Click “apply online” to view the online application. Fill up all the details required in the online application and save each section. After successfully completing the online application, candidates may take the printout of the online application and retain it with them for their records. Upon successful registration of the online application, a unique identification number “FB ID” and Password will appear immediately on the screen. An e-mail incorporating the “FB ID” and password will be sent to the e-mail id of the applicant within 3 days from the date of successful registration. (iv) Shortlisted candidates are required to bring to the process venue, while appearing for the online aptitude test / group discussion / interview, the call letter which can be downloaded from the Bank‟s website, using the FB ID and password obtained at the time of successful registration of the online application. (v) Candidates are advised to keep their particulars of educational qualifications and other personal details ready before applying as these details are required to fill in the online application form. (vi) Candidates shall also keep a scanned copy of their latest passport size photograph ready for uploading while submitting the online application. (vii) There is a provision to modify the already submitted online application. Candidates can make use of this facility to correct the details in the online application, if required by logging in using the FB ID and password. This modification facility shall be available only upto 27.09.2013, 5.00 PM and modification will be allowed up to a maximum of 3 times only. (viii) There is no application fee for this recruitment process. The selection process consist of online aptitude test / group discussion / interview as mentioned below. Only the short-listed candidates will be called for aptitude test/ group discussion/ interview. Short-listing will be done by taking into consideration the various attributes like qualifications/ additional qualifications, experience etc. The Bank reserves the right to call only the requisite number of candidates for the aptitude test / group discussion / interview after preliminary screening / short-listing as aforesaid. The entire test will be Objective type with four/ five alternative choices out of which one will be the correct answer. The tests will be in English Only. There will be negative marks at the rate of 0.25 for wrong answers. If a question is left blank, i.e. no answer is marked by the candidate, there will be no negative mark for that question. The Bank reserves the right to cancel any of the centres and / or add some other centres depending upon the response, administrative feasibility etc. The Bank also reserves the right to allot the candidate any of the centres other than the one he / she has opted for. 1. Before filling the online application form, the candidate must ensure that he/she fulfills all the eligibility criteria with respect to age, educational qualifications, experience etc. in respect of the post for which he/she is making the application and that the particulars furnished in the application form are correct in all respects. In case it is detected at any stage that a candidate does not fulfill any of the eligibility criteria, and/or that he/she has furnished any incorrect information or has suppressed any material fact(s), his/her candidature will stand cancelled. If any of these shortcomings is/are detected even after the appointment, his/her services are liable to be terminated. 2. Decision of the Bank in all matters regarding eligibility of the candidate, the stages at which such scrutiny of eligibility is to be undertaken, the documents to be produced at the time of aptitude test, group discussion, interview, selection etc. and any other matter relating to recruitment will be final and binding on the candidates. No correspondence or personal enquiries shall be entertained by the Bank in this regard. 3. Mere eligibility will not vest any right / entitlement on the candidate for being called for aptitude test/ group discussion/ interview. The shortlisting of applications will be done at the sole discretion of the Bank. 4. The Bank reserves the right to raise the minimum eligibility standard, etc., in order to restrict the number of candidates to be called for aptitude test/ group discussion/ interview commensurate with the number of vacancies. 5. The preliminary screening / shortlisting of applications will be on the basis of details provided by the candidate, in the online application. 6. Eligible candidates have to appear for Aptitude Test, Group Discussion and Interview/s at their own expense at the venue and date notified by the Bank. 7. Candidates are required to apply only online through the link provided on the Bank‟s website which will lead them to the online application form. The system generated printout of the application should be retained by the candidate. Candidate need not send the printout of the application form to the Bank. 8. Valid proof of identity such as PAN card/Passport/Voter ID Card/Driving License/Permanent Identity Card issued by the present employer or any other valid proof of identification with a photograph should be produced at the time of aptitude test/ Group Discussion/ interview to be conducted by the Bank. 9. Candidates have to produce all the requisite certificates/documents in original with Xerox copies in proof of their eligibility for verification at the time of Group Discussion/Interview. Failure to do so shall lead to disqualification of the candidate. 10. Candidates for the posts of clerk and probationary officer shall produce necessary documentary evidence for proving their place of domicile. 11. Selected candidates are liable to be transferred anywhere in India or abroad as per the administrative requirements & discretion of the Bank. 12. Candidates from Insurance or NBFC sector, if selected will be posted initially for sales/ marketing of Bank‟s products. 13. Any request for change of centre/ date for aptitude test/group discussion/interview will not be entertained. 14. The Bank has the right to reject any application/candidature at any stage without assigning any reason and the decision of the Bank shall be final. 15. Appointment of selected candidates will be subject to his/her being declared medically fit by the Bank‟s Medical Officer, satisfactory report about his/her character and antecedents by appropriate authorities and completion of all other pre recruitment formalities to the complete satisfaction of the Bank. Further, such appointment shall also be subject to Service and Conduct Rules of the Bank. avoid last minute rush and make use of the time span available for submitting the applications online. Candidates in their own interest are advised to submit online applications well before the last date. 17. Candidates shall submit only one application for a post. 19. Canvassing in any form will be a disqualification. This entry was posted in Govt. Jobs and tagged Bank, bank jobs, Clerk, Commercial bank, Federal Bank, federal bank jobs, federal bank recruitment, Grade (education), India, Kerala, National Capital Region, new bank clerk posts, new govt job vacancies, RECRUITMENT OF CLERKS AND OFFICERS, RECRUITMENT OF CLERKS AND OFFICERS in bank, RECRUITMENT OF CLERKS AND OFFICERS in federal bank.